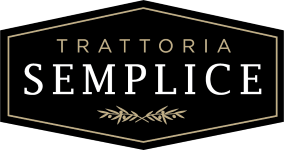 Trattoria Semplice provides Orangeville with simple and authentic Italian food, as it should be eaten! Whether you’re craving the warmth of a stone baked pizza or a glass of wine on our outdoor patio, Trattoria manages to merge the spirit of Italy with everyday life. Delicious food at affordable prices, we cater to a wide range of tastes and preferences. Welcoming all, from romantic dates to business luncheons, Trattoria Semplice can sit 60-80 for private events. Throughout Italy, it’s customary to gather around a table and enjoy a wonderful meal with family and friends. Take time out of your busy schedules to laugh, love, and share in good company while savouring deliciously simple recipes. We invite you to host your next celebration with us. Our restaurant accommodates 60-80 people. Give us a call today!